With Christmas rapidly approaching once more, John Bensalhia looks at some of the many things to do, see and hear in Italy during the festive period. Nearly eight centuries ago, in the hamlet of Greccio, Umbria, thefirst ever nativity scene was put together by Saint Francis. The event sums up the great traditions of an Italian Christmas – and in a world where the material value of Christmas threatens to overthrow the real, spiritual meaning, a Christmas visit to an Umbria Nativity really does emphasise what it's all about – and in particular, the homespun feel of these Nativities makes them all the more special. There are two particularly important nativities in Umbria – the first is in the village of Marcellano, where you can find a homespun display from the locals. And appropriately, going back to where it all started, the Greccio Nativity has become a big institution. It may have a cast of hundreds and may have be more elaborate in scope (with its lavish and accurate attention to detail), but the main message is still very much at the heart. 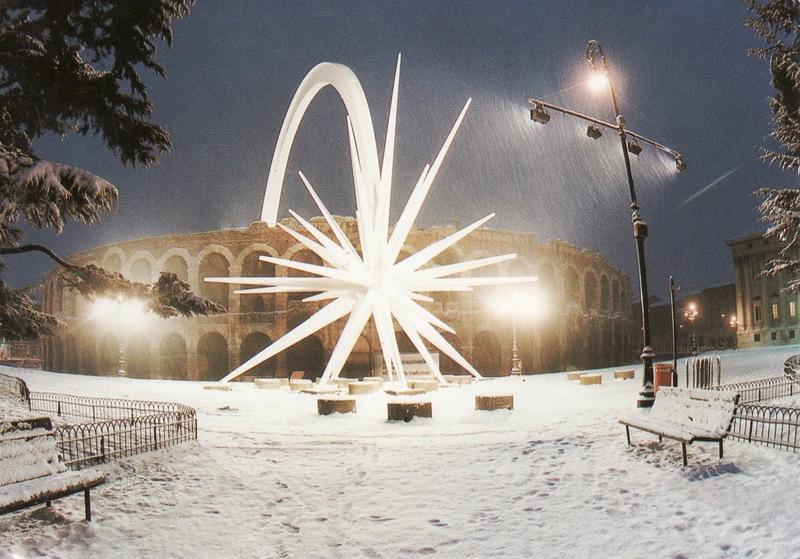 One of the most spectacular festive events to be seen in Italy is Verona's Natale in Arena, which this time around, takes place between December 3rd 2011 and January 22nd 2012. The event has taken place since 1983, and visitors can enjoy more than 400 Nativity scenes in the illuminated arena, in addition to a large scale sculpted star that stems from the Arena into the Piazza Bra. Here, visitors can enjoy a variety of musical performances, markets and events. And with the sight of the sculpted star, you really can feel that Christmas is here. One of the downers about the festive season is that anti-climatic feeling once Christmas Day has passed. Well for jazz fans, that's not such a problem, especially when the Umbria Jazz Festival is set to take place. The Umbria Jazz Festival will take place from December 28th 2011 to January 1st 2012 (including a special New Year's Eve performance). There is something here to satisfy all fans of jazz, and includes sets from the likes of the Allan Harris Quintet, Michel Camilo, Ezra Charles and the Texas Blues Band, the Franco Cerri Quartet and the Bobby Broom Deep Blue Organ Trio. One of the most celebrated Italian traditions is that of the Christmas market. 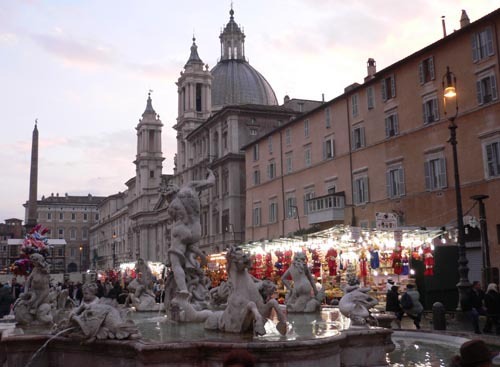 One of the best examples of this is the Christmas Market at the Piazza Navona, Rome. Every Winter, the Baroque square becomes a Christmas spectacle, boasting stalls full of sweets, toys, presents and decorations – complete with a cameo from Father Christmas (Babbo Natale) himself. Later in the festive month, a special, Nativity scene can be witnessed in one of the most delightful Christmas markets in the country. One Italian Christmas tradition is that of Festa di Santa Lucia, a traditional street feast that takes place outside the church of Santa Lucia in Piano dei Mantellini, Siena. Festa di Santa Lucia – or the Feast of St Lucy relates to a Sicilian saint, a devout Christian – her devotion was such that she gave her inheritance to the poor, and also refused to marry a pagan – the man in question reported her to the Romans, who (despite the army of 1000 men and 50 oxen) could not move or burn her. She eventually died in the early 300s after receiving the Sacrament. In honour of Santa Lucia, a feast is held on the shortest day and the longest night of the year – December 13th. One of the most striking – if not unusual sights at Christmas is that of Father Christmas getting around by canoe in Umbria. Actually, make that several lots of Father Christmas paddling down the River Tiber to the Ponte Vecchio. Smaller children may be dismayed to apparently learn that there is more than one Father Christmas, but it's still a highly enjoyable event for Christmas Eve. Canoeists from the Canoe Club of Città di Castello have made this a bit of a tradition, and it's a magical experience for the early evening with flickering torches along the riverbank route. Presents and sweets will also be distributed to the waiting children at the end of the paddling session. If you like the Christmas figurines and cribs (also known as Presepi), then a visit to Naples could be just the place to go. Naples has a strong tradition of making authentic Christmas figurines and cribs – the craftsmen have also spread their wings by making figures from contemporary times and popular culture, branching out with the appeal further. The best place to see these specially crafted cribs is in the street Via San Gregorio Armeno, which boasts a huge number of figurines and cribs. This crib market boasts the fruits of the craftsmen's labours, and they will be there at work, if you wish to just look rather than buy. This street boasts displays and stalls selling cribs throughout the year, but during December, the festive ambience really is something else. 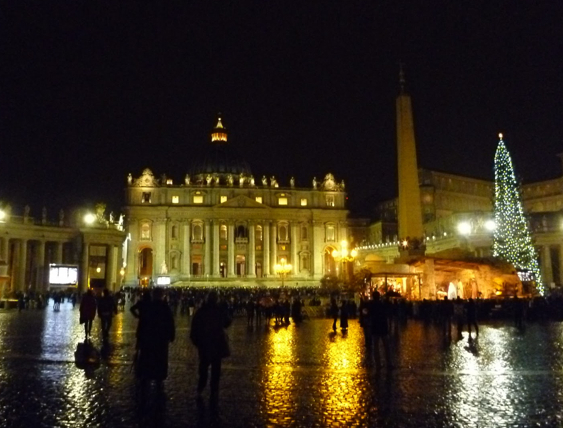 And finally, the Pope will lead Midnight Mass on Christmas Eve from Saint Peter's Basilica, Saint Peter's Square in Vatican City. This popular event can also be seen on a large screen inside the square. It's the ultimate Christmas gathering, and prior to the event, there will also be a Nativity Scene and a large Christmas Tree put up in Saint Peter's Square, to add further to that festive flavour.